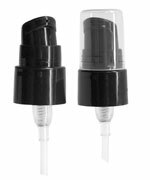 The elegant frosted cosmo round plastic bottles with white fine mist sprayers are available in convenient sizes to fit your products' needs. 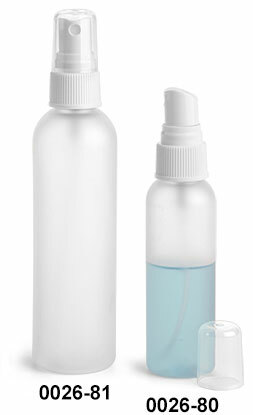 Consider using these plastic bottles to package hairspray or other bath and body care products. 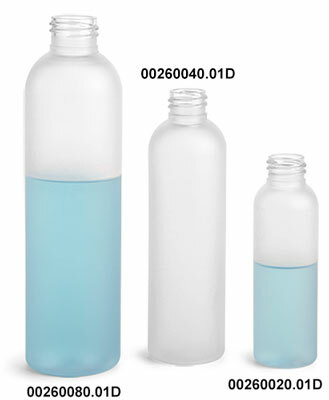 As always, be sure to test the containers and caps to ensure compatibility with your product. Each bag of PET plastic bottles is heat sealed to keep the plastic clean and protected.